In July this year, Marico Founder, Harsh Mariwala, invested in Mumbai-based physiotherapist, Dr Amit Kohli's venture, AquaCentric Therapy, a health care centre which offers water-based physiotherapy services, through his family office, Sharp Ventures. In July this year, Marico Founder, Harsh Mariwala, invested in Mumbai-based physiotherapist, Dr Amit Kohli's venture, AquaCentric Therapy, a health care centre which offers water-based physiotherapy services, through his family office, Sharp Ventures. There are just about 3,000 aqua-based therapy centres world over, which offer these highly premium services. Despite having an average price tag in the region of Rs 15,000-30,000, Mariwala is already upbeat about the success of this niche segment in India. 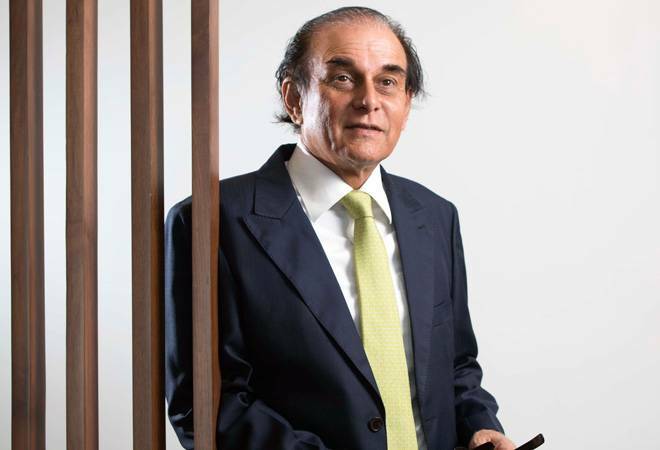 "We are getting encouraging responses from our first centre in Mumbai and we plan to open the second one (in Mumbai itself)," says Mariwala in a conversation with Business Today. BT: Can you tell us about the genesis of this idea? Mariwala: About two years ago, my physiotherapist, Dr Amit Kohli, came to me saying that there is a potential for establishing an aqua-based rehabilitation centre for recovery from injuries and ailment and that this would be the first of its kind in India. He came to me for advice and not really to ask me to invest. I looked at the concept and it looked interesting. In water your weight is 1/10th of weight on land. So, if you have a knee injury or spine issue or you had a stroke, and not able to exercise, it is very easy to exercise in water. It helps in early recovery. We travelled to Europe and US and met some equipment manufacturers, we went to centres offering similar services. I was quite confident that there is a potential. We said that instead of just doing aqua therapy, we should have land-based as well as air-based therapies. We decided to set up a medical gym. The equipment is selected specific to the ailments. It also has hoists, where if you can't walk, a chair can be put and the patients are put into the pool or gym equipment. It took us time to conceptualise. We broke it into four verticals - ortho, neuro, paediatric (down-syndrome, autism, cerebral palsy) and women's health. We recruited four doctors and we ordered the equipment. We sent the doctors for training to Switzerland and South Africa. A lot of effort has gone into thinking and conceptualising and also executing it well. The traction in terms of business has been good so far. BT: How evolved is this concept in the matured markets? Mariwala: There are 3,000 centres like this across the world. Many of them are attached to football clubs. The pools are heated, there are in-built treadmills, currents and lots of water-based equipment. BT: What have been your learnings from Kaya and Kaya Life? The latter didn't work for you. Mariwala: A lot of learnings from Kaya have been have been used in AquaCentric Therapy. We made some mistakes in Kaya. We are looking at a similar concept of cure and care, but we want to be known more for cure. At Kaya we started with cure and made a mistake by getting into care. We have gone back to the cure positioning. There has been lot of learnings about customer service etc. from Kaya, which has gone into AquaCentric Therapy. What put us back in Kaya Life was the physical infrastructure and rental costs. The same model now is getting popular virtually. Had we offered a virtual solution, then that would have worked. We could have done consultations through a Skype call and sent someone home to do the physical tests. There was no need to have such a large premise. BT: But doesn't the new venture require far more capital than Kaya? Mariwala: Yes, it does. We will wait and watch. If it does well, then we will have an all-India presence. It will not be as big as Kaya. Kaya needs only 1200-1500 sq.ft, this requires 5,000-7,000 sq.ft, it's far more complex than Kaya. BT: Any revenue targets that you have set for this business? Mariwala: It is too early. The breakeven will be higher than Kaya as the space is much larger and the costs are much more. We have to do higher numbers in terms of turnover at a centre level to breakeven. BT: Healthcare is an area you have always been passionate about. Any plans of getting in the business of hospitals? Mariwala: Healthcare interests me but not hospitals, concepts like Kaya is what I am interested in.